If you are in need of representation, or timely strategic advice, please call our office or email us using our contact page. Mr. Frye was very professional, reviewed the case on several occasions before the court date and used the facts of our case to find me not guilty. There is no room for error when it comes to this lawyer he is water tight, subsequently always having a response to accusations from the prosecuting attorney. Mr. Frye also has good relations with Oxford PD and is comfortable and confident when he is representing you on trial. Kevin has been a great lawyer. From the start he has been easy to talk to and very responsive to phone calls, emails etc. Mr. Frye was able to get my DUI non adjudicated and has been able to help me in the process. When I had trouble obtaining a new license from the DMV Kevin personally drove to the DMV to make sure I was issued my new license. 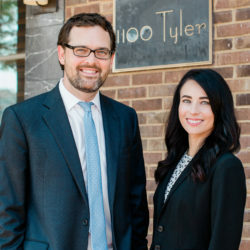 I highly recommend Kevin Frye for any/all of your legal needs! After Being arrested for DUI I did not know what to do. After consulting with many lawyers in the Oxford area I talked to Kevin and instantly knew that he was the lawyer for me. He was easy to get in touch with and always responded promptly to my questions and concerns. I walked out of court with all charges being dropped and also had a clean arrest record within 2 weeks. I could not have asked for better results. Mr. Frye is extremely knowledgeable in the practice of criminal/DUI defense. He was always willing and able to explain every step of the judicial process in a concise, easily understandable manner. From the beginning Mr. Frye worked hard to hold the law accountable and represent me to the fullest. Charge: DUI 1st. Court Ruling: Dismissed. Kevin did a fantastic job working with me in this situation. Ultimately, my case was dismissed. I couldn’t be more satisfied with the representation Kevin provided. I would give my strongest recommendation, without any reservation.